Here’s how my bunnies started off. I purchased them for $2.50 each from the Dollar Store. The moss is also from the Dollar Store, and the craft paint and glue are items I simply had on hand. The bunnies are cute on their own I suppose, but since I like to use very monochromatic tones in my decor, I needed to add some texture and a consistent colour. This step is pretty self explanatory. 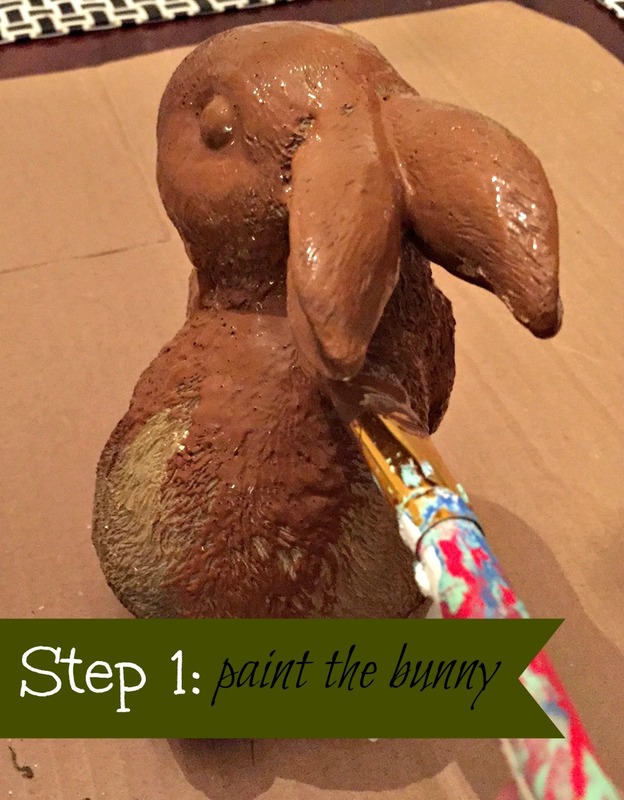 I mixed my brown and green paint together to create this brownish undertone for the bunny. 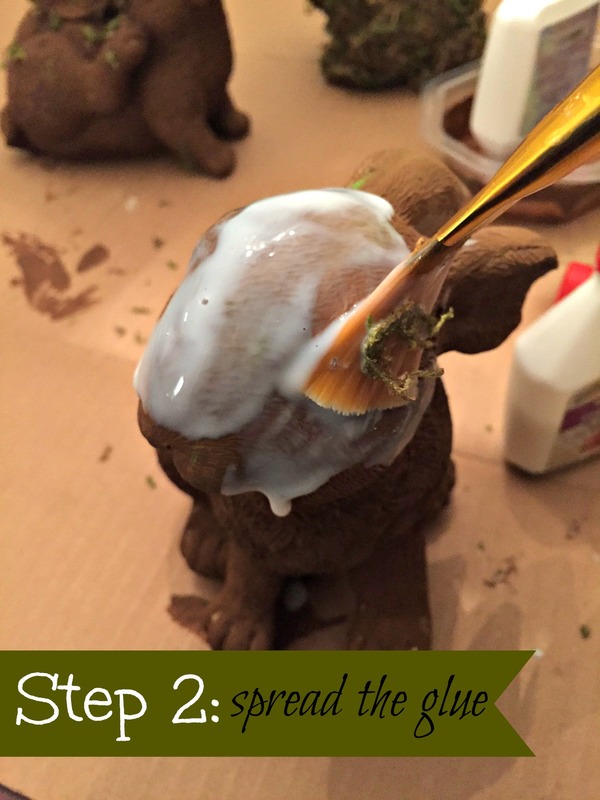 It also occurred to me while doing this, that this would also work if you were trying to make a faux chocolate bunny for Easter decor as well. If that’s what I was doing, I’d use a high gloss dark brown paint. 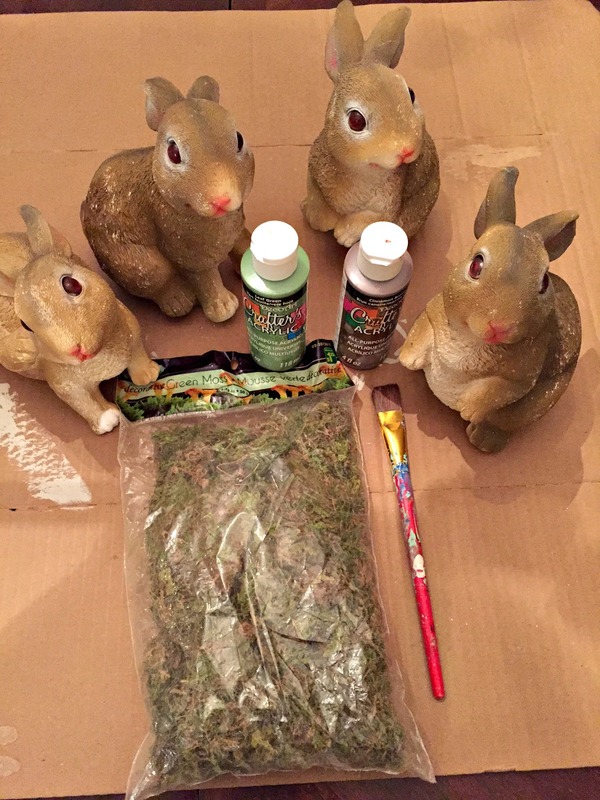 Hmmmm, maybe next year…..
Once the paint was dry, I spread my white craft glue all over the bunnies using a paint brush. Here comes the messy part. 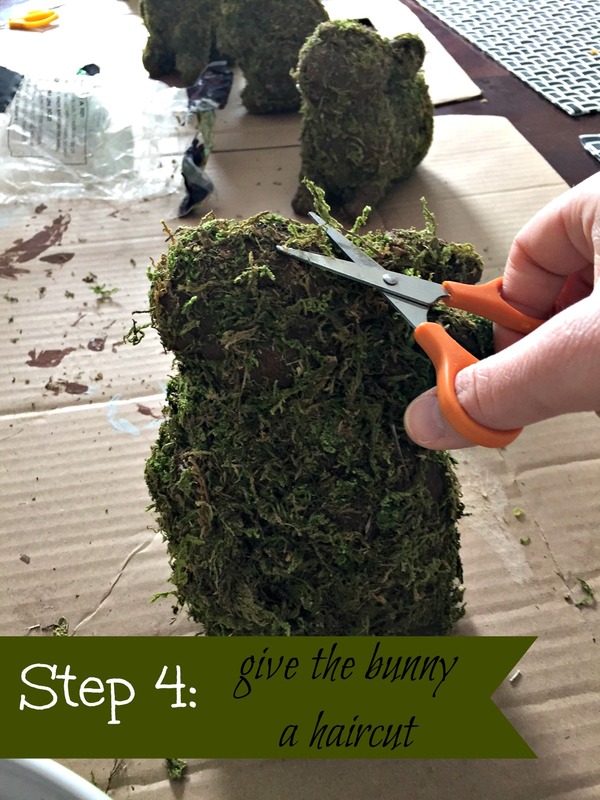 I typically put all my moss into a bowl and work the moss on to each bunny inside the bowl. It helps keep the mess to a minimum. 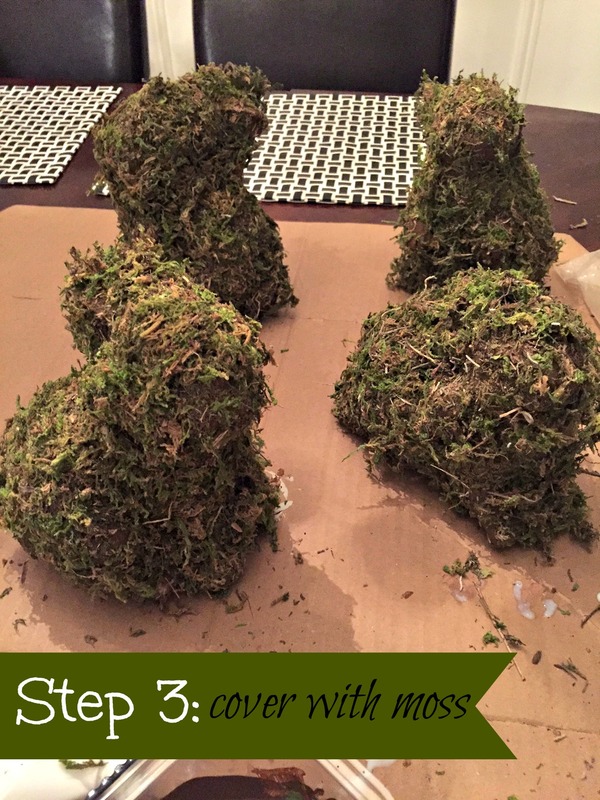 Lastly, I snip the excess moss off the bunnies. It doesn’t have to be perfect, but I try to snip the parts that are hanging off. I also kind of like the look of some of the brown underneath showing through. 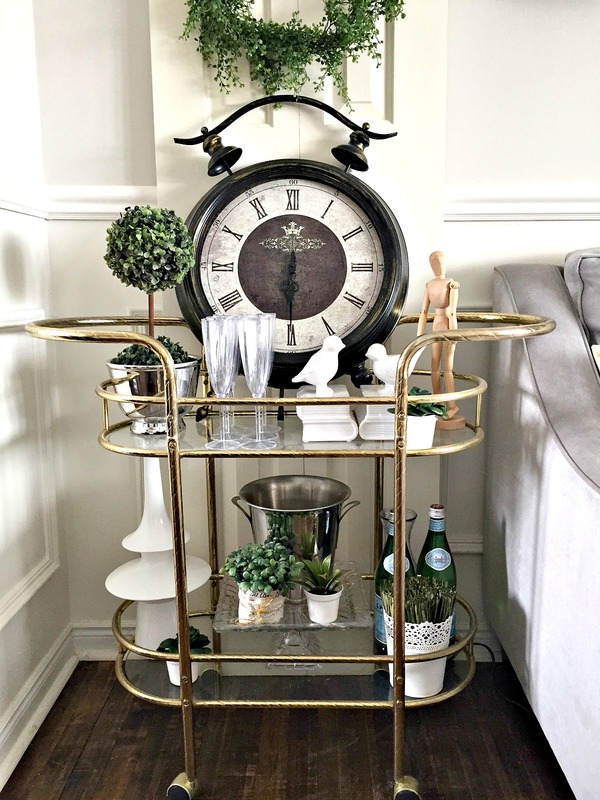 And just for fun, here’s a peek at my bar cart all decked out for Spring. Yay!!!! I love the warmer weather and can’t wait to start decorating outside. 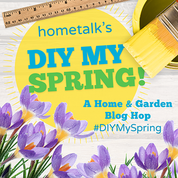 Thank you so much to Hometalk for hosting the DIY My Spring Blog Hop event. 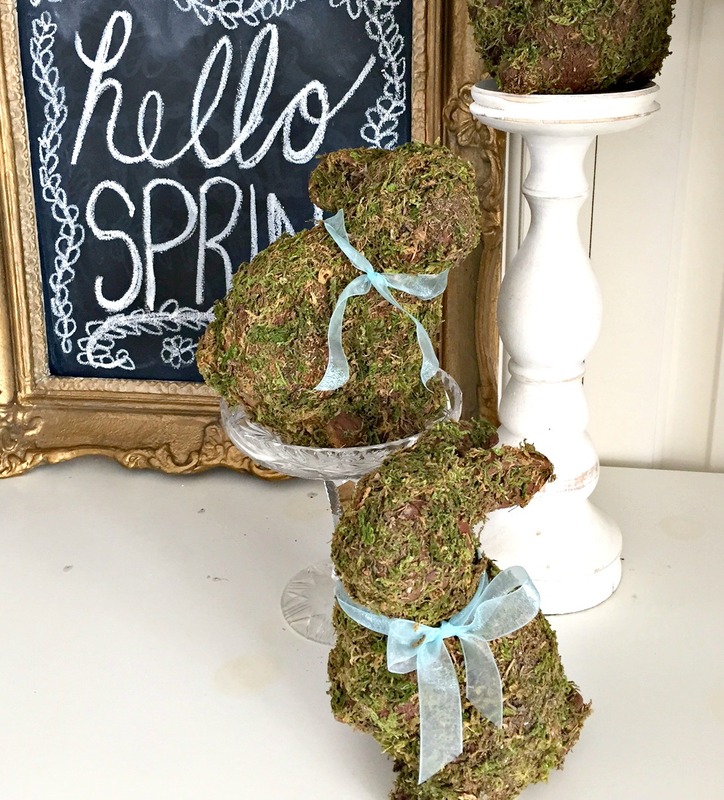 I had a blast making these cute little moss covered bunnies. 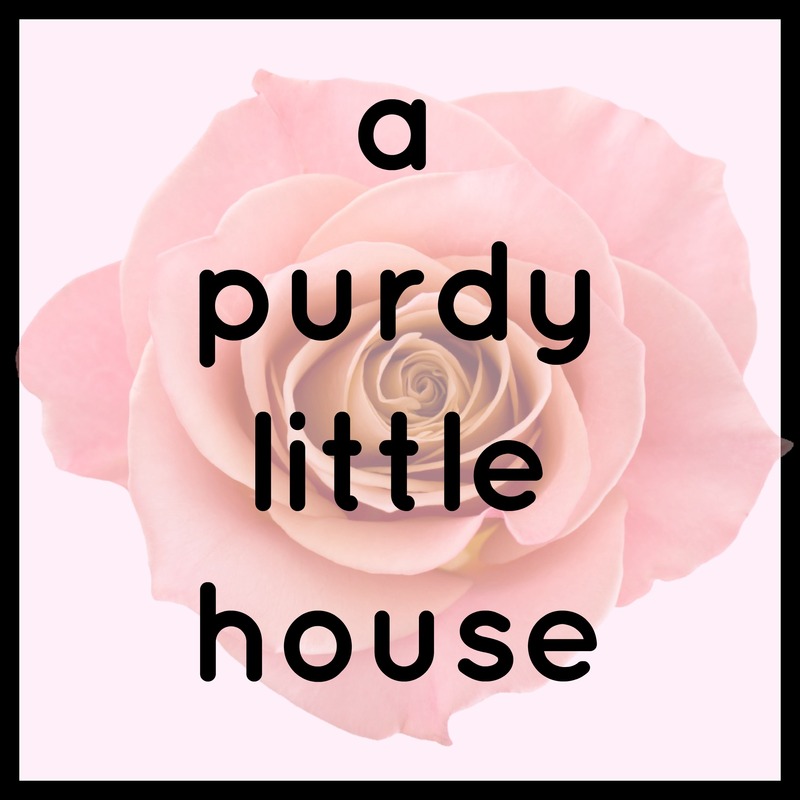 Please check out what my blogging friends have done to get their homes ready for Spring. Adorable bunnies everywhere! I just love them. They personify rustic Spring to a t! Visiting as a fellow blog hopper. 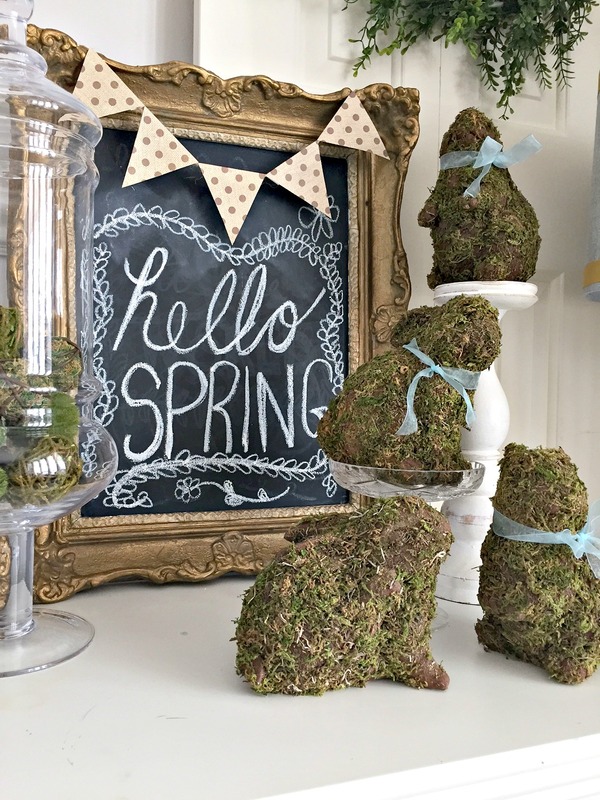 I love the bunnies, but what I like more is how you styled that table!! Beautifully done! Adorable! Also love the frame on your chalkboard. Very pretty. So cute! 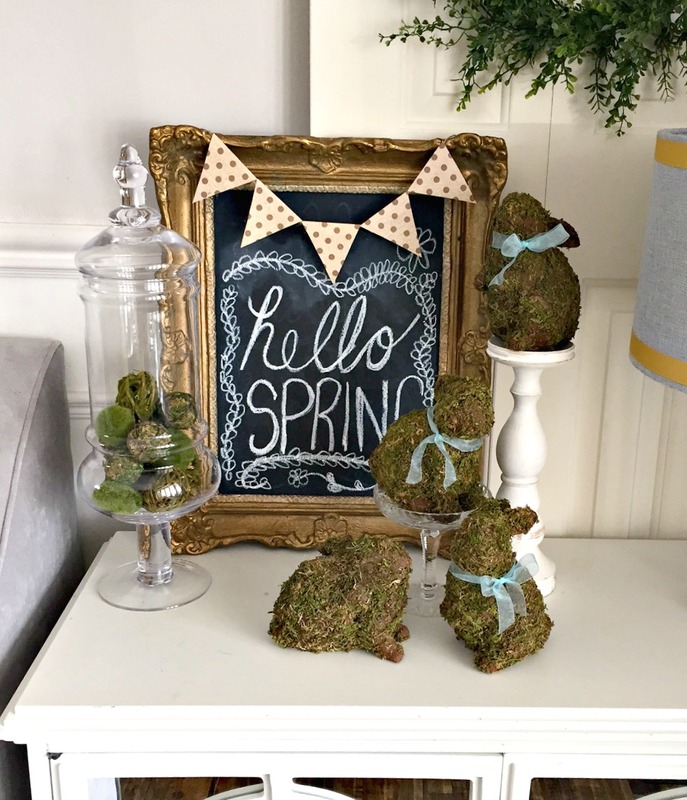 I love the bunnies…and that bar cart! Swoon!! Absolutely darling. I love anything moss. Your vignette is gorgeous. Thanks so much Meegan 🙂 I love how moss is so versatile and inexpensive. 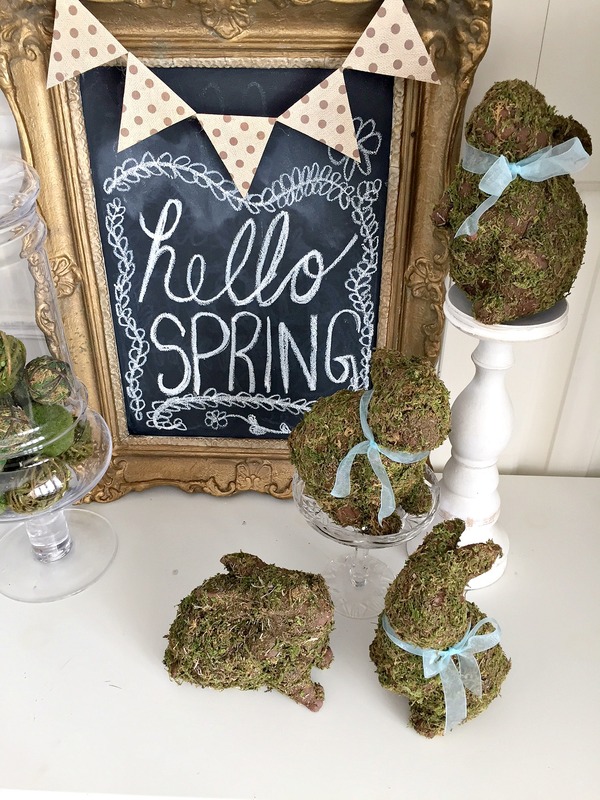 Your moss bunnies, bunting and chalkboard are so pretty! 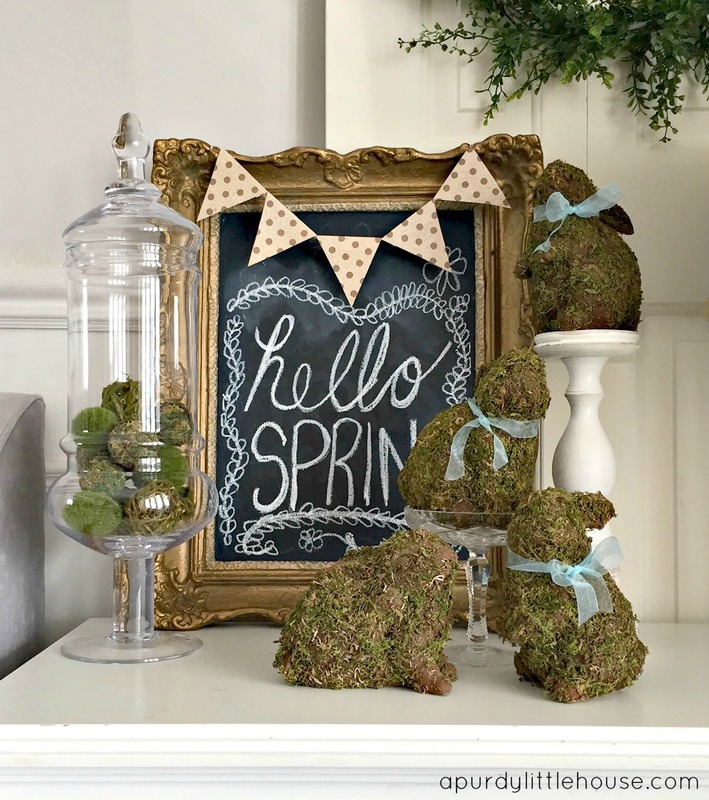 Visiting from the #DIYMySpring blog hop! What a sweet project, Sue! Those little bows are the finishing touch! Your bunnies are adorable! Love them! I am loving the moss projects! Your bunnies are so sweet! I love the vignette you set up! Beautiful! SO SMITTEN! This is such an enchanting idea! So in love with your moss bunnies, I’m trying to think of what I can cover with moss now! haha LOVE this, Sue! Thanks so much Donna 🙂 I love using moss; especially because it’s so easy (and cheap). My favourite!! !